Over 40 years old, telemedicine is a technological approach through which a healthcare provider can divulge health information from one location to their patients in another location. Using electronic based communication, telemedicine implements multiple applications and services through two-video, email, smart phones, and wireless tools in addition to other forms of technology. Telemedicine was first demonstrated in hospitals as patients were treated by physicians from remote locations. Technologically based care had gained popularity due to its success and is now growing as a normal part of the medical community. The use of telemedicine can be found at hospitals, specialty departments, home health agencies, and private physician offices. One might think that telemedicine is a separate type of care compared to in person clinical care. On the contrary, there is not a difference in fees or billing coding between services provided in a clinical setting or remotely. The term telemedicine, however, according to the America Telemedicine Association (ATA) is compatible with the term telehealth representing a wide spectrum of remote healthcare. 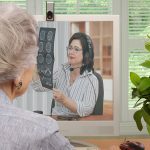 Included in these categories patients receive clinical services via video conferencing, still images, e-health, remote observation of vital signs, medical education, and nursing call centers, just to name a few. 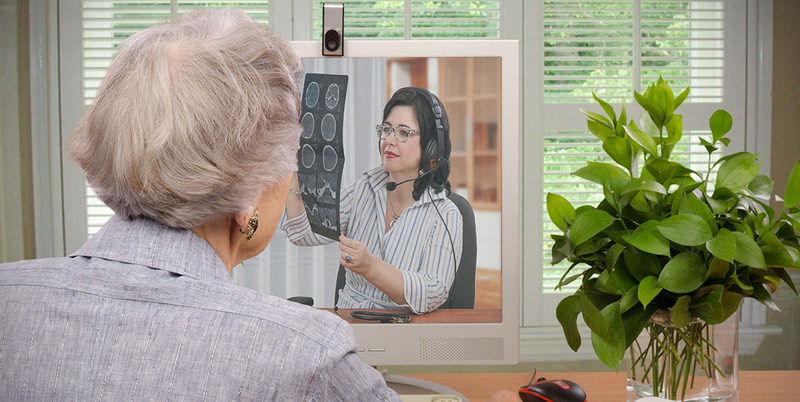 More specifically, a few examples of services patients can obtain from telemedicine include referrals for specialist care through interactive videos, transmission of diagnostic images and vital signs, health monitoring from home where devices remotely collect and transfer the data to an agency or a remote diagnostic testing facility (RDTF), health information for both group and individual online support, and continuing medical education for health professionals. You may still be wondering, what makes this a better form of healthcare than in office treatments? Well providing patients their healthcare through means of telemedicine has been proven to show many relevant benefits for today’s clientele. Telemedicine has allowed physicians and other healthcare facilities to treat, diagnose, and serve more patients than they could have ever dreamed. Patients now have more services available to them regardless of where they are located closing the gap between the global need of physicians and healthcare providers. Telehealth technologies allow for cost reduction of healthcare. It has done this by creating a more efficient method of managing chronic diseases, shared health professional staffing, decrease travel time, and shortens and lessens the amount of hospital stays. The best part practice can charge according to Lorna Gabriel, CEO of top Medical Billing Services. According to the ATA, there studies have proven through telemedicine the quality of healthcare service is comparable to that received in-person. For specialty care, specifically in mental health and ICU care, telemedicine provides services surpassing the quality of work and patient satisfaction than that are received through traditional in-person care. The ability for patients to avoid the stresses of traveling and leaving home when ill created a great demand for telemedicine. Patients have access to physicians and healthcare providers that they normally do not have the options to receive where they live. Telemedicine studies done in the past 15 years highlights patient satisfaction. Consider medical practice marketing to inform patients that you are offering such a service, you should have your web designer to add a link on your website, we recommend web design company. Also, check for the service that Patient hook offers Online appointment” this will help your patients to schedule with you online.